The merry GIF-makers of Reddit have thus cut-and-pasted the disoriented John Travolta into any number of famous fictional places and put him in close contact with various notable figures from film and television. How does he react to BB-8, for instance? Like this. His response to the TARDIS? Similar. Part of the joke may be that Vincent Vega is forever doomed to be a man out of time. He doesn’t understand all of these newfangled fads, like celebrity selfies. 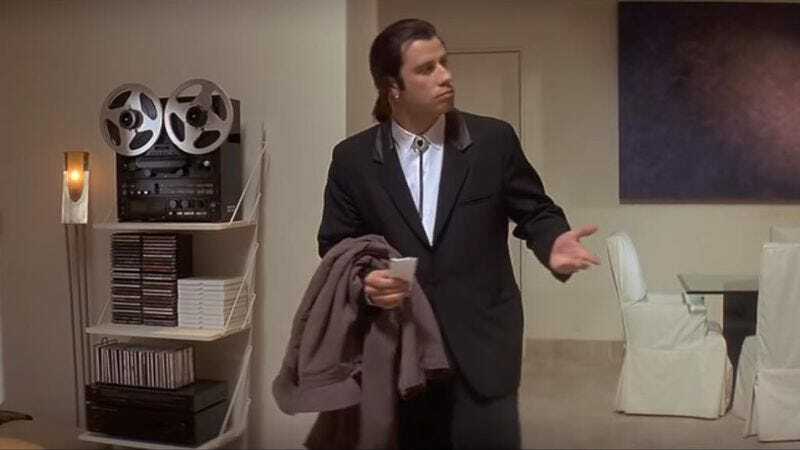 The possibilities of the “Confused Travolta” meme are limited only by the imagination of its participants and their collective desire to see John Travolta look foolish.